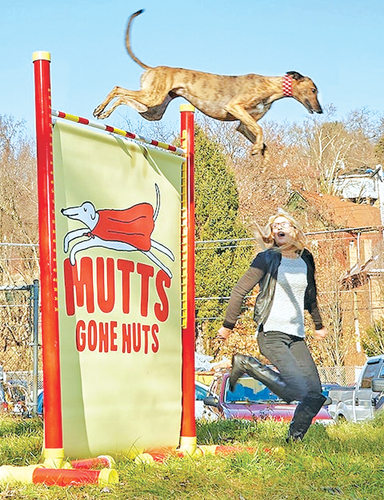 A dog that can jump more than six feet is among the weird and wacky champions revealed in the 2019 edition of the Guinness Book of World Records. Feather, a greyhound rescue from Maryland, USA can jump 191.7cm (6ft 3in), which is only a few centimetres less than the British women's record set by Katrina Johnson-Thompson at the Rio Olympics in 2016. She then began to train Feather to jump over hurdles an soon she was hopping over 150cm 'effortlessly'.